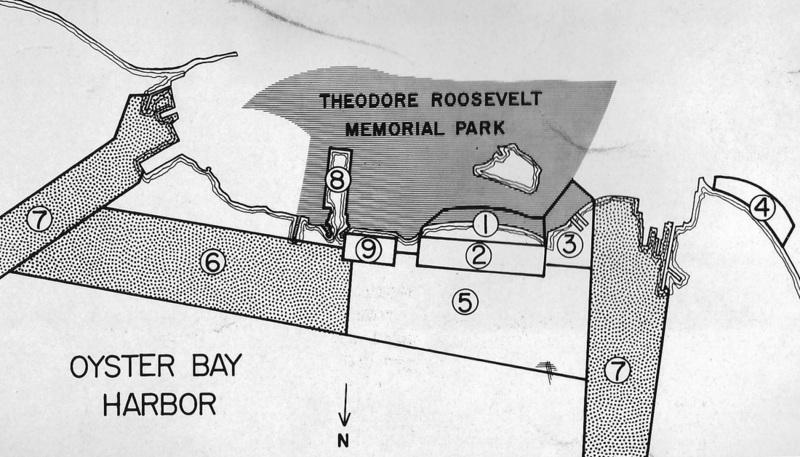 At the time of this photograph, the Town of Oyster Bay had proposed a series of recreational enhancements to Roosevelt Memorial Park. Improvements labeled ① and ② in the accompanying map refer to extending and deepening the beach’s swimming zone, which then was accessible only during high tides. Richard Sammis built the house in 1875, before selling it to James Thompson of College Point in 1891. Thompson, who preferred the honorific "Captain," was known as The Seafood King, operating as an oyster shipper and dealer along the Oyster Bay and Cold Spring Transportation Company Steamer Wharf (building 35 on map below). West Shore Road west of old Townsend mill, built late 17th or early 18th century; destroyed by fire c. 1920. Elizabeth A. Appleford and Wellington S. Appleford (seated); Ida M. Verity (their daughter, standing); Frank Verity, Jr.(grandson); Lud (dog). Wellington Appleford was a Civil War veteran, having served with the Mounted Rifles, New York Volunteers. His discharge papers are in the Society's archives (Slutter Collection). Peter N. Layton built a special type of light carriage called a road cart in his shop on Bay Avenue. He also built auto bodies for cars and trucks, including several early fire engines for Oyster Bay's fire companies. The building is still extant, though greatly altered; a fire in 1929 gutted the second floor. East Main Street parade, 4 July 1916. Harry Perrine (driver) and Bill Hefner (front seat); William Lent (firebox, rear). The steam pumper was built by the Silsby Manufacturing Company of Elimra, New York, and purchased by Oyster Bay's Atlantic Steamer Fire Company in 1895 for $3000. It could deliver 300 gallons of water per minute at a pressure of 120 pounds per square inch. 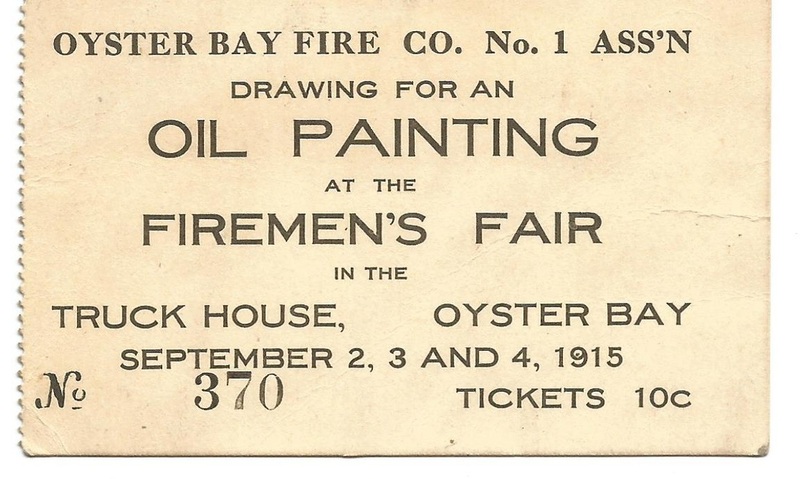 Oyster Bay’s first fire company, the Protection Hook & Ladder Co., became Oyster Bay Fire Company No. 1 in 1890. 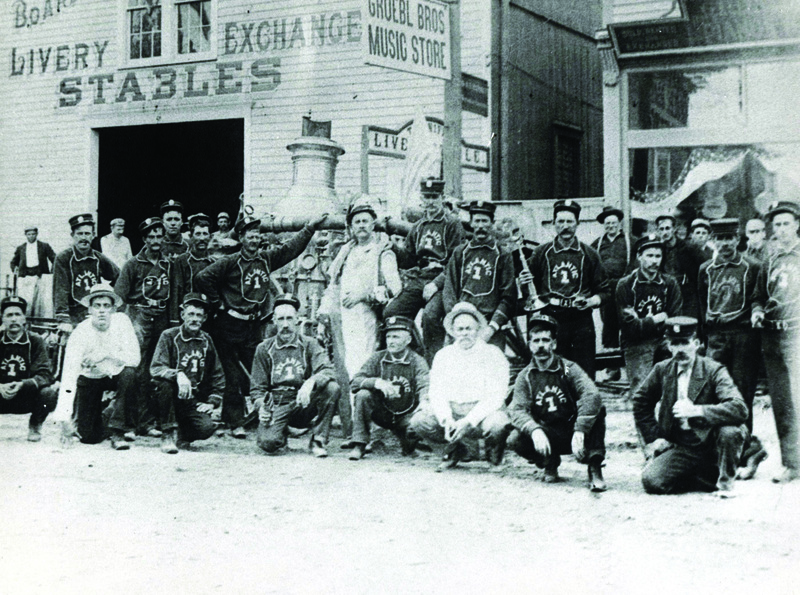 In this 1894 photograph, the company stands before the firehouse on Summit Street (then Bayles Hill), on the site now occupied by the Oyster Bay Historical Society’s Earle-Wightman House. Anna and Waverly Wright c.1900. Anna (b 1889) and Thomas Waverly Wright (1888-1918) were the children of Joseph Warren Wright and Mary (Smith) White of Oyster Bay. Waverly was an active member of Oyster Bay Fire Company No. 1 and appears in many of the Society's photographs of World War I-era parades. Anna married John Doughty of Brooklyn in 1914 and had a son, Benjamin George, in 1917. The Oyster Bay Wrights trace their roots to Peter Wright, one of the Town's original settlers and purchasers of the Town Spot. Front: Ed Knapp, Danny Murray, unidentified, Red Cody, James H. Vernon, Fred Vernon; Middle: Jim Thompson and James "Pin" Earle; Rear: John Hill, Chester Robinson, Scotty Thompson, Lee Townsend. The Oyster Bay Nine travelled to Stamford, CT, Canarsie (Brooklyn) and West Farms (the Bronx) to play games. Home field was the Cow Lot at West Main and Spring Streets. At left, Thomas Colby, Principal; third from left, Julia Thurston, Preceptress and head of English Department. . When longtime owner Madame Jacques Alger died in 1925, her house was believed to be 130 years old. At one time the house was reportedly a feed and grain store, and in fact the steamboat docks were conveniently close by. 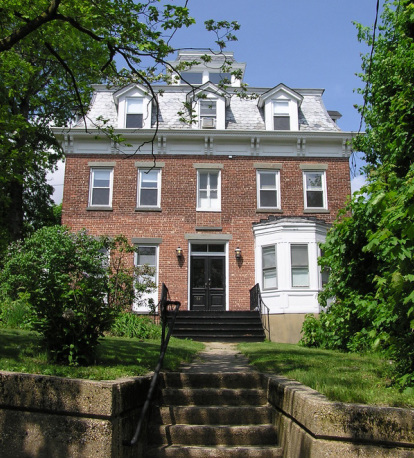 This building opened in 1924 as an Oddfellows Temple, before overcrowding in the Oyster Bay School District led to the leasing of classroom space on the ground floor. Later, a rollerskating rink operated here, before the market opened in 1937. The building was eventually sold to Oyster Bay Fire Company No. 1 when the 1895 firehouse was ruled to be beyond repair. When Company No. 1 expanded their parking lot to the south, the Earle-Wightman House, then on South Street, was moved to 20 Summit Street, the site of the 1895 firehouse, which had burned down.